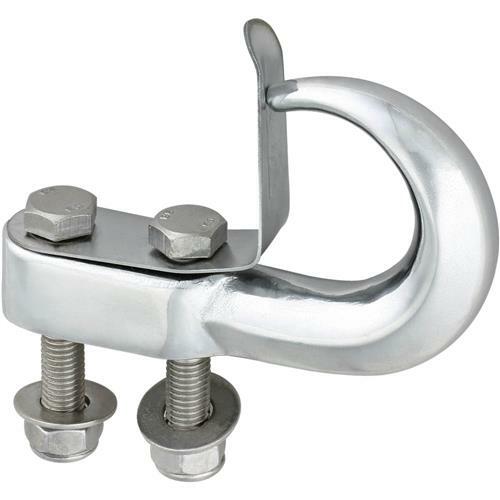 Chrome Tow Hook, 10000 lb. 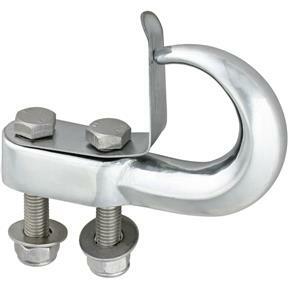 Grizzly H6166 - Chrome Tow Hook, 10000 lb. Attach one or two of these Hooks to your bumper for quick towing and winching. Rated at 10,000 lb. maximum load capacity, this chromed hook features two stainless steel 7/16" x 2-1/2" bolts, washers and lock nuts and a spring steel keeper. Overall hook size is 5-1/4" long x 3-1/4" tall.